Private texts & calls without records on the phone bill! Add a burner phone number to safeguard your primary number. Send self-destructing messages. Hide secret text messages and private files from prying eyes. Get a real phone number to hide your primary number for secret texting & calling. CoverMe provides numbers from various countries, including the United States, Canada, the United Kingdom, Belgium, the Netherlands and Australia, perfect for business, dating and more. Send unlimited texts with a real new number to keep your personal number private. Your private texts are off the record. Make phone calls on a new line, with superior clarity to existing regular phone service. Regular calls & texts are delivered across unprotected phone networks and can be intercepted without your knowledge. By encrypted data transmission tech, calls and texts between CoverMe users are highly protected. On CoverMe, everything is end-to-end encrypted and safe from spying eyes and hackers. 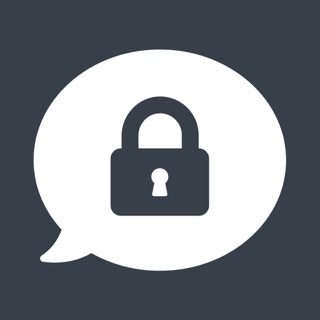 CoverMe allows your full messaging control. You will immediately know when the recipient has read your messages. You can make your sent message disappear itself once it was read. Never worry about private messages being spread around or stored! Worried about prying eyes when texting on public? Just shake your phone to hide private text messages with the lock & login screen. With decoy passwords, even if someone enters CoverMe, he cannot read your private messages or secret SMS. When someone tries to enter CoverMe, it can even take a photo automatically. Private Vault ensures your private photos & videos, passwords, personal contacts, confidential documents, notes, secret diary stay hidden and private. CoverMe offers a 7-day free trial purchase option. The free-trial subscription begins immediately but it won’t be billed until the free trial period is over. Your account will be charged within 24 hours prior to the end of the free trial period. Any unused portion of a free trial period will be forfeited when the user purchases a subscription to that publication. You can cancel the free-trial subscription before the end of the free trial period by going to your Account Settings at iTunes Store. The best privacy app iv ever used. Lots of great features. Pick a burner phone number to contact strangers so my personal number wont be exposed. Unknown numbers can be blocked so no unwanted calls, voicemail is supported. Messages can be auto deleted in certain minutes after read, recall wrongly sent message. What i like best is that the text previews can be personalized so when someone sees my phone when I receive a secret message, wont be embarrassed. A vault with large space to store and lock all private and important files. The last thing i want is to be showing friends and family vacation photos and then accidentally give them an embarrassing glimpse of my naked mirror selfie. But this wont happen again since I use the app. also good to record all kinds of password. The most magic feature is that the app can be masked as another app so no one knows im using a secret texting app. Although these is problem sometimes, overall very good to use. On more thing, hope developers add more stickers. I always leave the app on “no notification” but there needs to be some kind of notification (buzzing?) other than ringing when a call is received. I’ve also been getting calls from numbers I don’t know and no message is left. Probably because my number has been recycled several times.